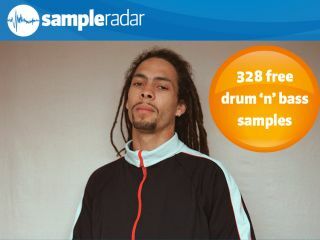 Roni Size's drum 'n' bass opus New Forms won the Mercury Prize in 1997. Welcome back to SampleRadar, the place to come if you're looking for a regular supply of pro-quality, royalty-free samples. What's more, MusicRadar's sounds are exclusive: you won't find these sounds anywhere else on the internet. For our sixth instalment, our musical microscope has fallen on drum 'n' bass. This may be a genre that had its big moment in the mainstream more than a decade ago, but it continues to thrive and its influence is felt on the likes of grime, dubstep and ghettotech. The samples are split across two construction kits, each of which contains - appropriately enough - drum and bass sounds. As well as loops, there are single hits and multisamples. The drum 'n' bass kits are supplied as separate zip files, so you'll need to extract them before you can see the samples. Enjoy!